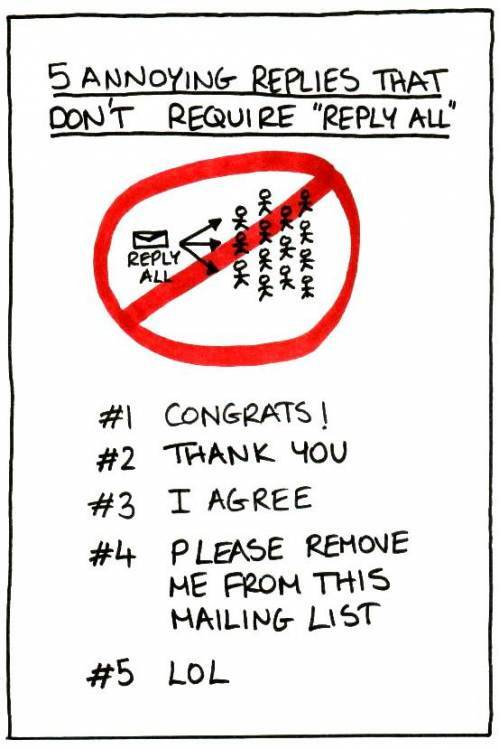 One pet peeve that I share with a lot of people is the use of “Reply to All” in email – especially when every recipient on the mailing list doesn’t need to be included in the response. It’s very frustrating and such a waste of time having to click through useless back and forth email chatter when the topic doesn’t apply to me. Don’t use “reply all” if only the original sender needs to read your message. And thanks to Giselle for sharing this! Gmail email message recall Some of the best "Out of Office" auto replies. Twitter Pet Peeves – Twitter Annoyances The largest collection of Twitter tools ever!